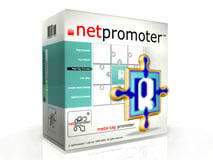 The newest links exchange software out there devoted to the promotion of your website, increase you website popularity. Links Exchange Software - Partner Links is an effective and handy tool for establishing partner networks between sites and improving link popularity. Link Exchange is the most accessible way to improve your Web site's link popularity, and by doing so, to achieve better search engine positioning and increase your Web site's traffic. Building link popularity through link exchange means to find partner sites whose webmasters are willing to add a link pointing to your Web site, in exchange to a link pointing to their Web site from yours. It is important to find link exchange partners among Web sites that offer a good match with the content and the theme of your own Web site. The partner site's theme or topic is the first thing to review, because search engines give more "weight" to a link from a Web site, that has a similar topic to yours. Websites with themes or topics that are related to, or complement your Web site's theme should be considered as your main links exchange partners. Searching for related sites and negotiating with their owners about link trade may be quite a tiresome job. Partner Links makes it simple. The number of sites, linking to yours is one of the key factors used by almost all of the search engines to rank Web sites. Using Find New Partners Wizard module you can easily find sites thematically close to yours, or sites, that link to your competitors and negotiate with them about link exchange. Increase your Link Popularity - The number of sites, linking to yours is one of the key factors used by almost all of the search engines to rank Web sites. Link popularity can be increased by link exchange. Link Popularity and Google Page Rank - One of the first search engines that used link popularity as a key factor in ranking Web sites was Google. One can check the number of links pointing to a Web site (link popularity) by querying Google with the search keywords link:http://whateversite.com. Also, you may check your Google Page Rank using Google Toolbar. Most search engines have similar functions for link popularity check. Exchange links - Link Exchange is the most accessible way to improve your Web site's link popularity, and by doing so, to achieve better search engine positioning and increase your Web site's traffic. Building link popularity through link exchange means to find partner sites, whose webmasters are willing to add a link pointing to your Web site, in exchange to a link pointing to their Web site from yours. It is important to find link exchange partners among Web sites that offer a good match with the content and the theme of your own Web site. The partner site's theme or topic is the first thing to review, because search engines give more "weight" to a link from a Web site, that has a similar topic to yours. Web sites with themes or topics that are related to, or complement your Web site's theme should be considered as your main links exchange partners. Time is money Using Find New Partners Wizard - you can easily find sites thematically close to yours, or sites, that link to your competitors and negotiate with them about link trade. Message templates, available in the program make link trade negotiation process simple as never before, and FTP module allows creating and modifying partner links code and uploading to your FTP-server.